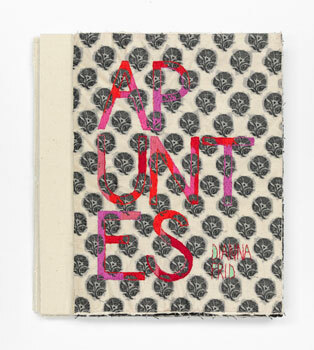 The translation of apuntes is notations. This book combines photographs of Greek and Roman sculptures in which Frid focuses on fabric and hairstyles that have been carved onto stone. On each passage, Frid uses thread to annotate the images with diagrams found in Anni Alber's book On Weaving.